The genuine assorted Rainbow vacuum fragrance pack. 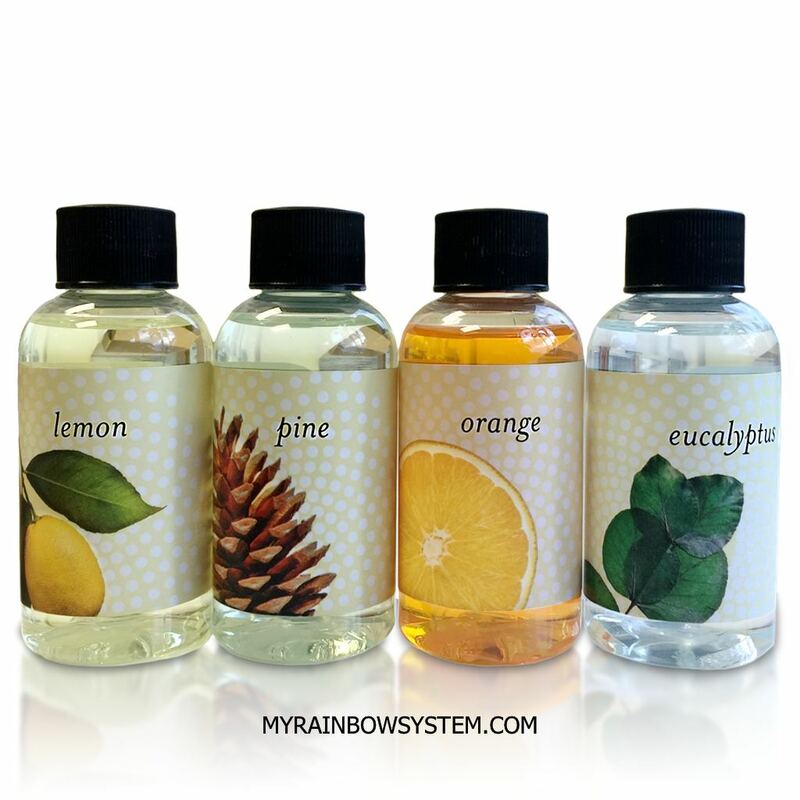 Choose your 4 favorites Rainbow Fragrances in one package. Impress your friends with a different smell in your home every day. Or just change fragrance when your mood changes. The genuine assorted Rainbow vacuum fragrance pack. Now you can order 4 differents Rainbow scents in one pack, choose among our 10 famous Fragrances. If you are the person who like variety or try differents fragrances for any season, this is the Rainbow vacuum product you need. Assorted fragrance pack only here! You want 2 eucalyptus, 1 berry and 1 orange? Or maybe 3 vanilla and 1 fresh air? Don’t worry, you can make any combination you like. You are the boss. Here, is the only place online you can buy and make your own assorted scent pack. Others sell 1 flavor package or have 4 different scents, but you can not choose the one you want. Also, only Myrainbowsystem.com allow you to include a small Fresh Air testing bottle to your pack. You can choose 4 bottles per package, between our 10 regular fragrances. You don’t need to buy a package of a single Rainbow scent, with this assorted pack, you can try the scent you like until you find your favorites one. Active Ingredients of the four bottles. I bought the assorted Rainbow fragrance pack cause I had no idea what kind to get! These were great…of course Lemon and orange was my favorite…but they all were good….Sooo much better than Walmarts! Lot stronger and refreshing.